Seagull Computer Based Training (CBT) - tạm dịch: huấn luyện dựa trên máy vi tính - là các chương trình của hãng Seagull Na Uy được sử dụng trên tàu biển để huấn luyện và kiểm tra kiến thức của thuyền viên. Được sửa bởi Bố già ngày Tue Jun 26, 2012 5:33 pm; sửa lần 6. * Introduction: To be familiar with safety procedures and to be aware of the most common hazards linked to the different working operations on board are important. This can and will reduce the number of accidents. Seagull, together with Bergesen d.y. and Th. 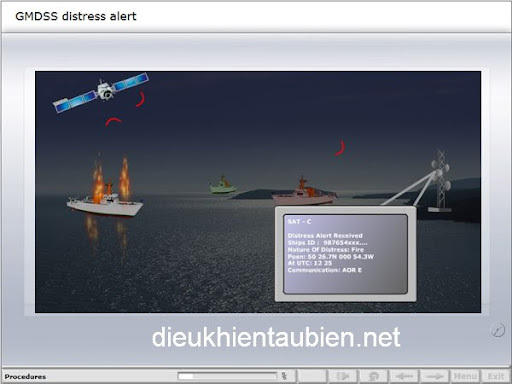 Klaveness has made a CBT module covering personal safety. This module is also one of five modules (# 1, 2, 5, 88, 123 and workbook) that are included in Seagulls Safety, Health and Environment onboard training course. It is also available with Russian audio. - Understanding need for personal safety in daily work onboard and reducing number of accidents, damages and environmental effects. - Improving motivation and understanding of company general safety and business policies. Được sửa bởi Bố già ngày Wed Oct 05, 2016 1:03 am; sửa lần 2. * Introduction: This CBT module introduces the personnel to the expressions "Vessel Risk Factors" and "Vessel Risk Profile." The personnel will also be able to determine and document their own vessel risk factors, risk profile, and develop awareness with regard to managing and operating their vessel in a safe manner. This module is also one of five modules (# 1, 2, 5, 88, 123 and workbook) that are included in Seagulls Safety, Health and Environment onboard training course. Được sửa bởi Bố già ngày Wed Oct 05, 2016 1:04 am; sửa lần 2. * Introduction: According to MARPOL all oil tankers of 150 tons gross tonnage or more and all ships of 400 tons gross tonnage or more must carry an approved shipboard oil pollution plan. Seagull has developed a CBT module that provides a basic understanding of international and national oil pollution laws. * Introduction: Today’s ship operators must focus on safety for the ship’s crew and avoiding damage to the marine environment and property. In order to standardize procedures and reports, SOLAS has developed a system known as the ISM- code. The Seagull CBT; ISM-code, has been developed in order to familiarize the ships officers with the code and to provide up to date knowledge and understanding about the code. * Introduction: OPA 90 is an act to establish limitations on liability for damages resulting from oil pollution, and to establish a fund for the payment of compensation for such damages, and for other purposes. This module will provide an understanding of OPA 90 and knowledge of the Vessel Response Plan requirements. Được sửa bởi Bố già ngày Wed Oct 05, 2016 1:05 am; sửa lần 2. * Introduction: To maintain safe operation onboard ships carrying explosive and inflammable cargoes the inert gas generator is a main component. It is important to know what inert gas is composed of and its effect on flammability. In this module you will also be familiar with the different types of inert gas generators and their properties. this module you will be familiarised with the flue gas generator and its properties. * Introduction: This training module will introduce the user to the fuel oil systems, and the main components of these systems, for the different types of machinery onboard a ship. The module covers the different fuels used onboard, some basic combustion theory, the various fuel systems for diesel engines, including the main components such as fuel pumps and fuel injectors and the basic control requirements such as viscosity control, and also a brief look at boiler fuel systems. Được sửa bởi Bố già ngày Wed Oct 05, 2016 1:06 am; sửa lần 2. * Introduction: Poor quality bunker oil can be a major problem. It is important to know how to handle, store and treat the marine fuel oil. Seagull AS has together with AS Norske Shell, Höegh Fleet service AS and Torvald Klaveness Group developed a CBT to increase the awareness of marine fuel oils impact on diesel engines and how to treat and store marine fuel oil. Được sửa bởi Bố già ngày Wed Oct 05, 2016 1:07 am; sửa lần 3. Được sửa bởi Bố già ngày Wed Oct 05, 2016 1:07 am; sửa lần 2. * Introduction: Seagull AS has developed a CBT module covering vessel structural conditions. This module will provide officers and crew with an understanding of structural risk factors and the forces acting on a vessel externally and internally. This is important for maintenance and survey of critical areas of the ship. * Introduction: Corrosion protection and corrosion control are two important factors in working to reducing maintenance cost. From an economical and safety point of views, early detection of corrosion problems is of the utmost importance. In this CBT the students will be made aware of what to look for, how to reduce corrosion and proper planning of corrosion maintenance. * Introduction: The CBT module Corrosion Protection II is focused on the procedures involved in on-board maintenance, surface preparations as well as correct paint application procedures. In order to obtain a good end result it is important that these subjects are well understood. The evaluation of paint specification and increasing the users expertise of different paint types is also focused upon in this module. Được sửa bởi Bố già ngày Wed Oct 05, 2016 1:08 am; sửa lần 2. * Introduction: In case of emergency situations it is very important to know how to operate the steering gear. It is also important to know about safety rules and regulations regarding steering gears. Seagull and Porsgrunn Steering Gear AS have developed a CBT covering Porsgrunn steering gear, steering modes, relevant safety rules and regulations. Steering Gear unit is operated and how to maintain the steering gear. - Learning to maintain safe operation of the steering gear. - General comprehension of parts and possible problems, and to be able to communicate with expertise. * Introduction: Seagull AS has developed a CBT module covering cooling water systems. This module will familiarize the crew with conventional and central cooling water systems and their main components. * Introduction: There are long traditions at sea to assist others in distress situations. The responsibilities to render assistance to a distressed vessel or aircraft are based on humanitarian considerations and established international practice. However, rendering effective assistance requires an understanding of Search and rescue organization and professional leadership including an ability to make difficult decisions under high stress. This CBT provides information about the IMSAR program, i.e. how to arrange on-scene coordination, how to plan and conduct an effective sea-surface search as well as how to cope with onboard emergencies. Other important aspects covered are procedures for assisting vessels, helicopters and aircrafts and how to set up various search patterns. Được sửa bởi Bố già ngày Wed Oct 05, 2016 1:09 am; sửa lần 2. * Introduction: All GMDSS equipped ships must have a qualified operator on the bridge that is able to handle all types of radio communication, i.e. general communication, distress- and urgency communication and emergency communication.. This module is a refresher course for officers already holding a GOC/ROC certificate, but it will also serve as an introduction to GMDSS for cadets planning to be an officer of a navigational watch. * Introduction: Maritime English, Ship familiarisation is the perfect education and training tool to obtain basic knowledge in marine English terminology. The programme also gives a basic on board training in familiarisation, seamanship as well as safety on board. Maritime English gives students with little or no knowledge in English the possibility to achieve basic language training on board the vessel, at their own pace. Seafarers of all nationalities can use this Maritime English training module since the programme is an English-English course. The module, although based on an Ulstein Bergen auxiliary diesel engine, provides the information necessary for the safe and efficient operation of auxiliary diesel engines in general and the Ulstein Bergen engine in particular. The tech- nical expertise and advice required to produce this module was provided by Ulstein Bergen, Marintek and Hoegh Fleet Services AS in association with Seagull AS. It will provide personnel responsible for the day to day operation of auxiliary diesel engines with a sound knowledge and awareness of good operational and maintenance practices, and in doing so, help reduce engine down time and the associated costs. Được sửa bởi Bố già ngày Wed Oct 05, 2016 1:10 am; sửa lần 2. * Introduction: Proper voyage planning has become an increasingly important task in today’s shipping operations. This module does not only cover all of the important aspects of planning a voyage, but also provides give some information about onshore installations which may be useful in many situations. 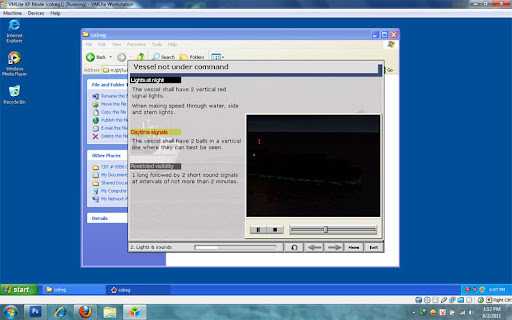 The short description of VTS is an example of such subjects included in this module.